Boston Marathon 2012 bib numbers have been assigned. 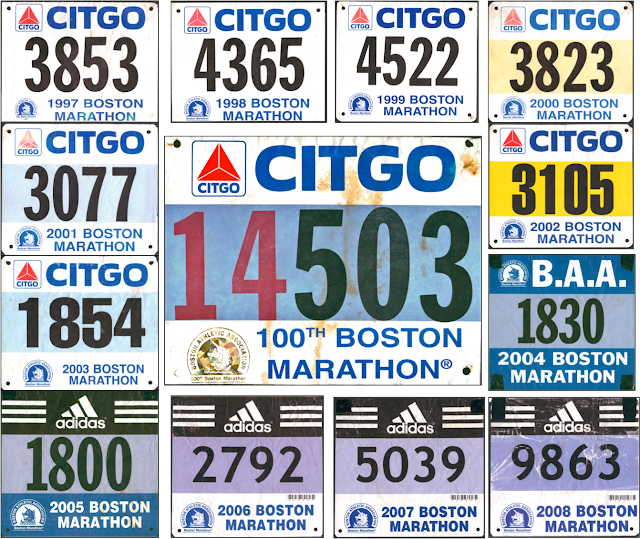 Among the more than 125 bib numbers I've collected from races over the years, Boston bib numbers are among the most special. When you get that bib number, it's more than just an identifier -- it's your permanent ticket to part of the history of the world's greatest Marathon. I've got 13 of them, and am proud to be a part of Boston's history. To find yours, visit Boston Marathon Entrants webpage. For more, see our Complete Boston Marathon Coverage.